David Ginley, Ph.D., is a research fellow at NREL. He is currently involved in the study of the general class of defective transition metal oxides including high temperature superconductors, LiTMO2 rechargeable Li battery materials, ferroelectric materials, transparent conducting oxides and electrochromic materials. His group is also focused on the development of new nano-materials for organic electronics such as organic photovoltaics and as biofilters etc. In the area of organic electronics Ginley is the principal investigator on the NREL effort on organic photovoltaics, which focuses on the development of new inorganic and organic materials for OPV and developing an understanding of the interfaces involved. Dr. Hongfa (Henry) Hu is a tenured full Professor at Department of Mechanical, Automotive & Materials Engineering, University of Windsor. He was a senior research engineer at Ryobi Die Casting (USA), and a Chief Metallurgist at Meridian Technologies, and a Research Scientist at Institute of Magnesium Technology. He received degrees from University of Toronto (Ph.D., 1996), University of Windsor (M.A.Sc., 1991), and Shanghai University of Technology (B.A.Sc., 1985). He was a NSERC Industrial Research Fellow (1995-1997). His publications (over 150 papers) are in the area of magnesium alloys, composites, metal casting, computer modelling, and physical metallurgy. He was a Key Reader of the Board of Review of Metallurgical and Materials Transactions, a Committee Member of the Grant Evaluation Group for Natural Sciences and Engineering Research Council of Canada, National Science Foundation (USA) and Canadian Metallurgical Quarterly. He has served as a member or chairman of various committees for CIM-METSOC, AFS, and USCAR. The applicant’s current research is on materials processing and evaluation of light alloys and composites. His recent fundamental research is focussed on transport phenomena and mechanisms of solidification, phase transformation and dissolution kinetics. His applied research has included development of magnesium automotive applications, cost-effective casting processes for novel composites, and control systems for casting processes. His work on light alloys and composites has attracted the attention of several automotive companies. Dr. Hao GONG is a Full Professor of Materials Science and Engineering at National University of Singapore. He is also the coordinator of the transmission electron microscopy laboratory at Department of Materials Science and Engineering. His research interests include transparent oxide conductors and semiconductors (n-type and p-type), energy storage materials and devices (mainly supercapacitors), energy harvest materials and devices (mainly solar cells), gas sensors, functional thin film and nano-materials, materials characterization (mainly on transmission electron microscopy and electron diffraction). Dr. Gong received his B.S. degree in Physics at Yunnan University in 1982. He passed his M.S. courses in Yunnan University, carried out his M.S. thesis research work at Glasgow University, UK, and received M.S. degree of Electron and Ion Physics at Yunnan University in 1987. He then did his PhD at Materials Laboratory at Delft University of Technology, the Netherlands, and obtained PhD degree there in 1992. He joined National University of Singapore in 1992, and is currently full professor at Department of Materials Science and Engineering. He has published about 200 refereed papers in major international journals and a few US patents. He has delivered several invited talks at international conferences. He has been chairman or committee member of several international conferences, and editor of special issues of some journal. Abstract: Gold nanoparticles possess distinctive physicochemical properties and can be used as unconventional therapeutic approaches for targeting of cancer cells. However, the mechanism of the interaction between gold nanoparticles and cancer cells is still not clear. The purpose of this study was to grow gold nanoparticles with controlable particle sizes and use them to study their transport and diffusion in live breast cancer cells MCF-7 and zebra fish. We treated MCF-7 with 8 nm gold nanoparticles for 72 hours and visualized gold nanoparticles in the live cancer cells for different transport times. A dark field optical microscope (DFOM) was used to examine their transport and accumulation in the cancer cells as shown in Figure 1. Two concentrations of gold nanoparticles were tested in MCF7 cancer cells to determine the transport rate of the gold nanoparticles in the cancer cells. The results show that gold nanoparticles were able to enter not only cell membranes, but also nucleus of cancer cells. The transport or accumulation rate of gold nanoparticles in cancer cells was dependent on the time and the concentration of gold nanoparticles. Biodata: Dr. Ju Chou is currently an Associate Professor in the Department of Chemistry and Physics at Florida Gulf Coast University. Dr. Chou received her Ph.D. in chemistry from Chinese Academy of Science, Changchun, China in 1995. After that, Dr. Chou has worked as a postdoctoral fellow in RIKEN Research Institute in Japan for a year during 1996-1997. She came to the United States as a visiting research scholar working at University of California-Irvine and later at University of California-Santa Barbara, respectively. Dr. Chou’s research areas include bio-electrochemistry of proteins such as cytochrome c, myoglobin and hemoglobin, bioaccumulation of trace elements in tissues, synthesis and characterization of nanomaterials such as gold nanoparticles and their biomedical applications. Dr. Chou’s recent research interests also include green synthesis of gold nanoparticles and environmental analysis of toxic metals in water, soil and human hair. She has also been collaborating with biology professors on the application of gold nanoparticles in biological systems such as cancer cells and zebrafish embryos. This research focuses on the design of model nanoparticles for potential application in in vitro and in vivo assays of studying toxicity, biocompatibility and transport of gold nanoparticles. Dr. Qingsong Yu is a Full Professor in the Department of Mechanical and Aerospace Engineering at University of Missouri in the United States. Dr. Yu’s research has been focusing on non-thermal gas plasma technology and its applications in materials processing, surface modification, thin film deposition, and recently in plasma medicine and plasma dentistry. Dr. Yu received his B.S. in Chemical Engineering from Tianjin University of China, and his M.S. and Ph.D. in Chemical Engineering from University of Missouri (1995, 1998). Since then, Dr. Yu has worked in microelectronics industry at Silicon Valley in California. In 2002, he joined the faculty in the Department of Chemical Engineering at University of Missouri and now he is a Professor in the Department of Mechanical and Aerospace Engineering at University of Missouri. 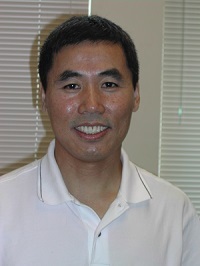 Dr. Yu has published over 100 refereed research papers in major international journals and holds a few US patents.